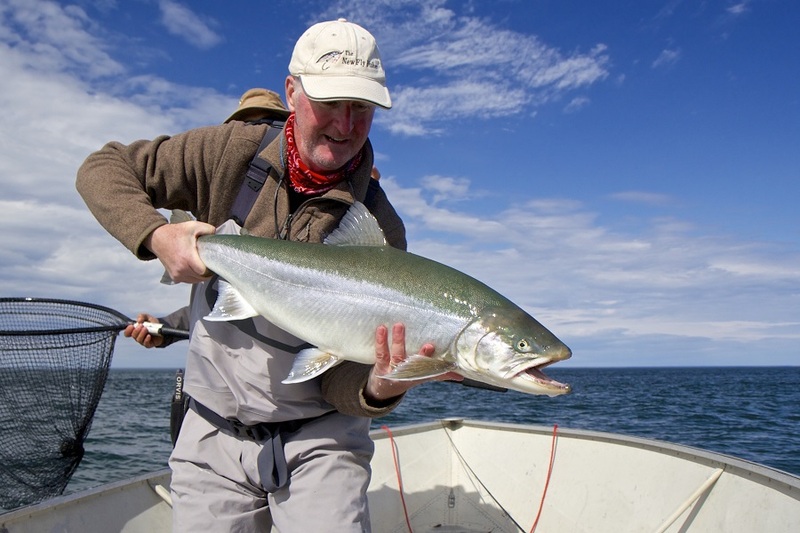 Imagine casting flies for huge and hard fighting Arctic char that average 10-14 pounds, while watching seals, polar bears and whales…all part of the exceptional experience you get at this very special lodge. For seventeen years we’ve had the privilege of producing The New Fly Fisher TV show for anglers throughout the world. In that time we have visited literally hundreds of lodges and outfitters throughout North America, Chile and the Caribbean. This season we visited one lodge that was unquestionably in the top five places we have ever had the pleasure to fish…Inukshuk Lodge in Nunavik. Owned and operated by Paul Ostiguy of Montreal, this unique lodge is nestled on the rugged shores of Ungava Bay in northern Quebec. The reason for this superior rating can best be summed up by the word: phenomenal. In our opinion, this is the ultimate total fishing experience. 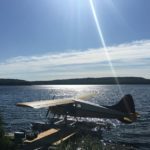 Your journey begins when you fly to Montreal and catch the flight to the small town of Kuujjuaq in Nunavik (Nunavik is Quebec’s arctic region). Nunavik Inuit will welcome you warmly to their corner of the world, introducing you to the distinctive characteristics of their cultural and linguistic heritage, art and history, as well as traditional clothing and tools. If you have enough time, hire a local tour operator to take you on a tour of the sights and to search for local wildlife such as musk ox. 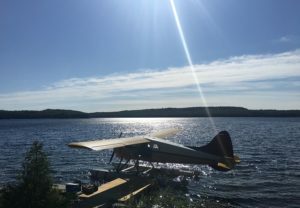 After a stay overnight, you then board a small plane and fly to the lodge. On your way in, don’t be surprised if you spot beluga whales or polar bears as the wildlife here is abundant and spectacular. You are now in the land of wild tundra, taiga forest, scenic mountains, majestic rivers, and countless lakes. To be honest, the lodge is not palatial or sumptuous, rather; it is warm and comfortable. This lodge was built to survive the extreme changes of weather and temperatures that are part of this immense, pristine territory lying north of the 55th parallel. You sleep on comfortable beds with sleeping bags and pillows. 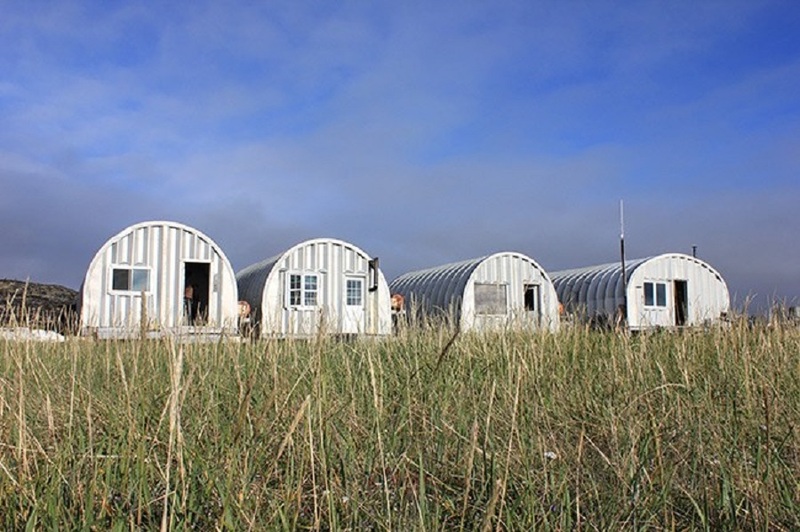 You have hot running water and each hut has a stove for heat. The main hut features a wonderful kitchen and dining area which always seems to have the smell of fresh baked bread. 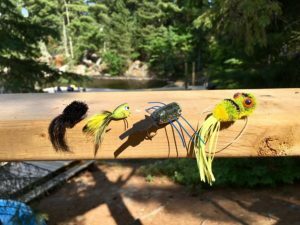 It is here where people come to do some fly tying, check their fly boxes and sip a little scotch after a successful day on Ungava Bay. There are three species of fish that you can angle for at Inukshuk Lodge: brook trout, Atlantic salmon and Arctic char. We came for the large Arctic char, which run up local rivers to spawn in late August and early September. 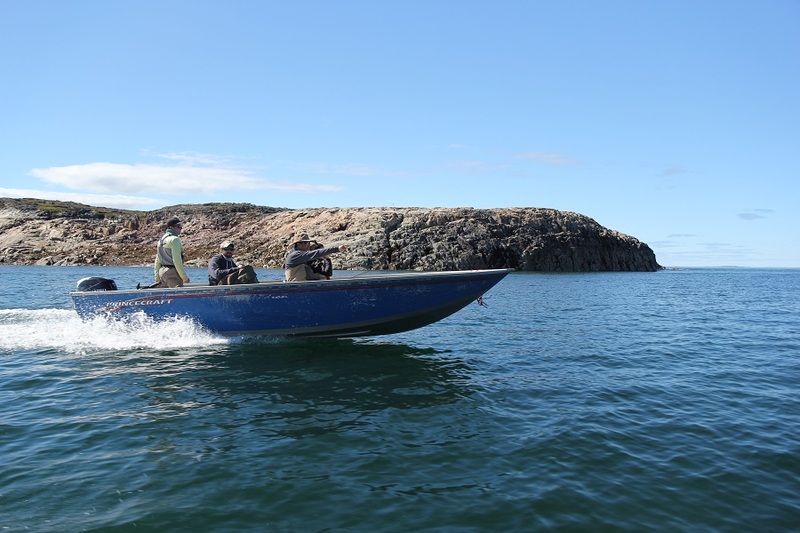 Our visit was in the first week of August when the char were cruising around the bay’s many islands hunting for krill and baitfish. These are really big, exceptionally strong fish. 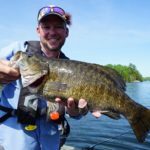 Those we caught weighed approximately 10-12 pounds with our largest of the week coming in at 22+ pounds. 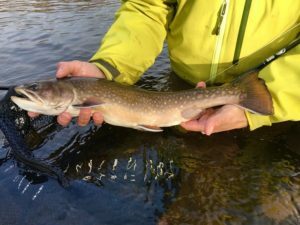 In some locations we also spotted sea-run brook trout, which we cast to, with some success. 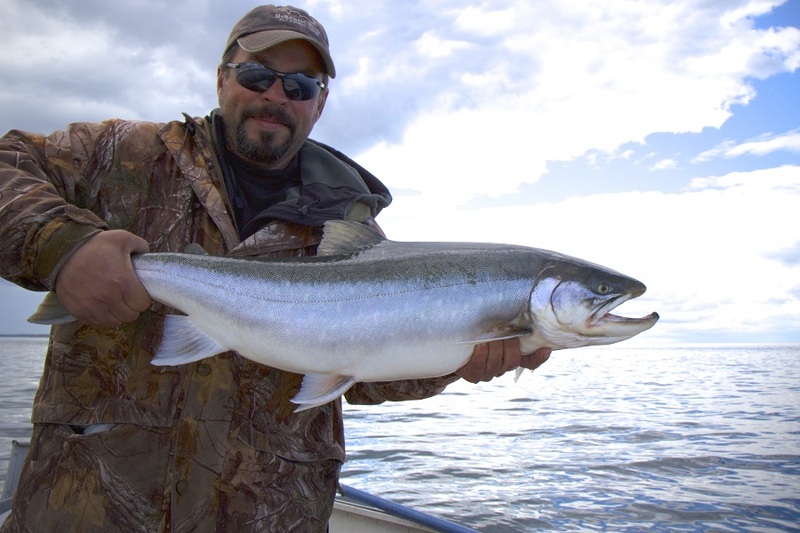 Atlantic salmon can also be caught in the saltwater in certain locations, where they, too, are busy feeding on krill and a baitfish called “lances”. Like any ocean destination, it is all about the tides. 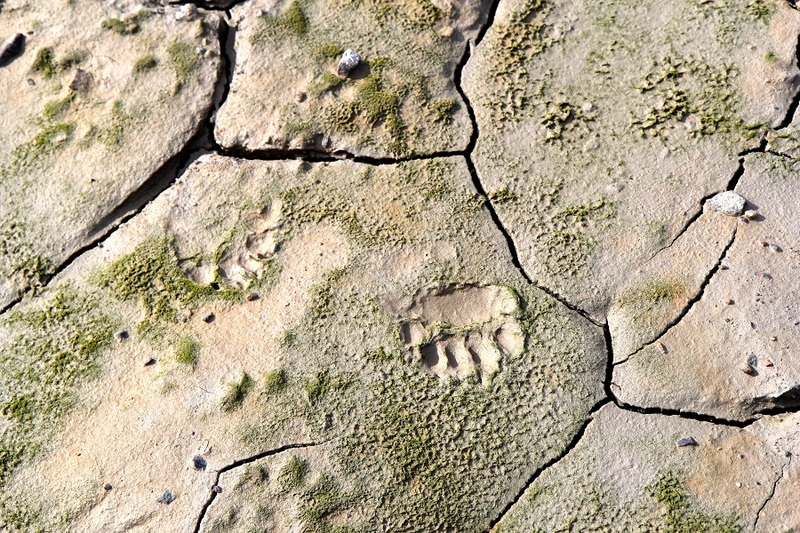 When do the waters flood an estuary or when does low tide happen around an island? So our guides spent a great deal of time studying the tide charts, having us leave the lodge at the ideal moment to catch the ultimate tide for bringing in the fish. On our rides to specific locations in the heavy-duty boats, we spotted many types of wildlife. Minke whales, beluga whales and various types of seals, plus a myriad variety of birds, are all part of the experience you can expect here. You never seem to travel far before you spot another unique type of wildlife specific to the Arctic. Once we arrived at a specified location, such as an island, then we broke out our fly fishing gear. The fishing here demands good quality rods and reels that can take the punishment of saltwater and large fish that seemingly never tire. 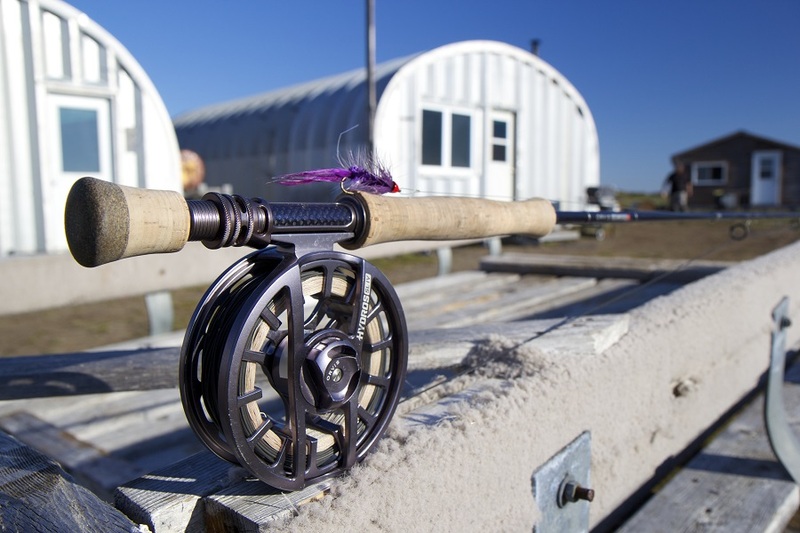 Our go-to setup was a 9 foot, fast-action, nine weight rod, married to a large-arbor reel. 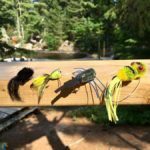 Ensure you have lots of backing of 50lb test, as these char will definitely test your equipment with their powerful runs. You absolutely need a good quality drag, preferably one with a sealed system. The large-arbor will come into play when the fish often run directly at you and you need to pick up line quickly. The lines we used were full-sink and long sink-tips. Both worked well if the sinking rate was five inches per second or greater. My favourite line to use was the RIO InTouch Sinktip with a 600 grain 24 foot head. This line was easy to cast in heavy winds and got the fly down the water column quickly . You don’t need long leaders here, just a six foot piece of heavy 1x or 2x mono or tippet. 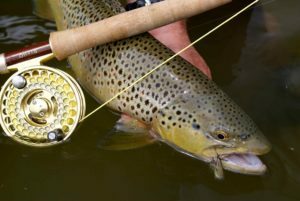 The tippet should be at least 15lb rating as the char will often slam the flies with gusto, and break-offs can occur with lighter systems. We tried using long streamers, which had some success. However, our number one fly was something of a surprise…green woolly buggers in size 2 or 4. These are woolly buggers that have crystal estaz bodies that shine underwater in medium green. We believe they like these woolly buggers because they resemble the krill that inhabit Ungava Bay. 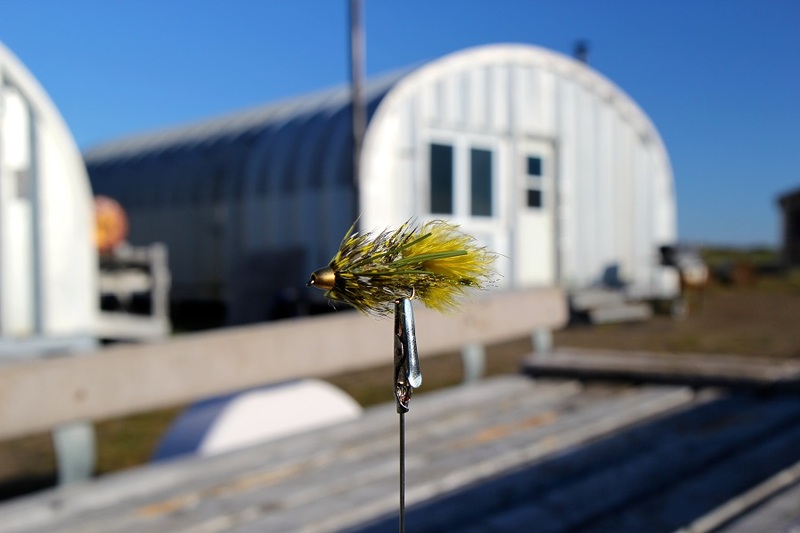 Clousers in chartreuse worked well, as did any green/white streamers in a 4-6 inch length. We used short strips for our retrieves, which were also successful. 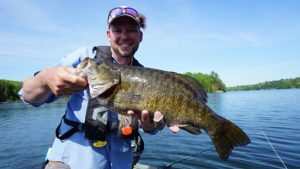 What is exceptionally exciting is that often the fish will follow right to the boat and take the fly within several feet of where you are standing. Sometimes the hits were subtle, like a soft bump. But usually the takes were ferocious, with the rod tip being driven down into the water. Once the fish was hooked, then they generally dove deep and ran hard. Sometimes they went airborne, but this was rare. 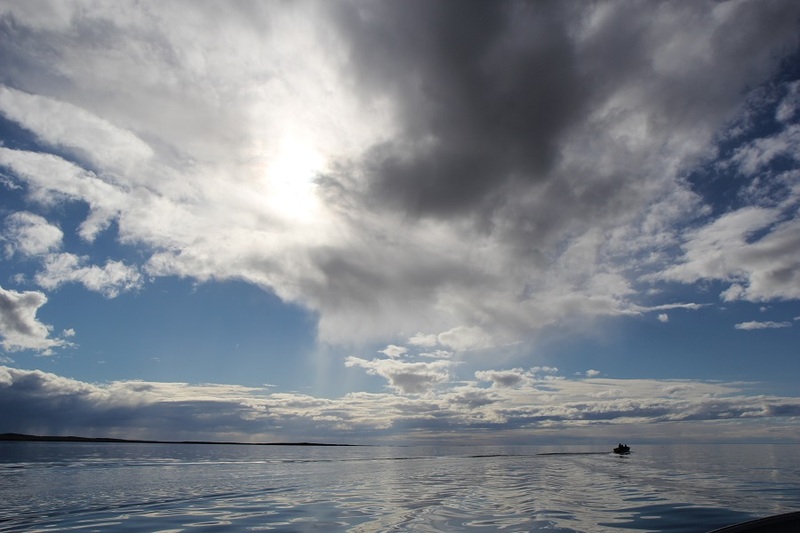 We had to admit that a full day on the ocean, casting flies and fighting big Arctic char, really took the energy out of us. Coming back to the lodge, taking a hot shower, enjoying a delicious home-cooked meal, followed by time spend watching a spectacular sunset every evening, all helped to revive us. It’s hard to describe in a short article all that makes this unique land so very special. 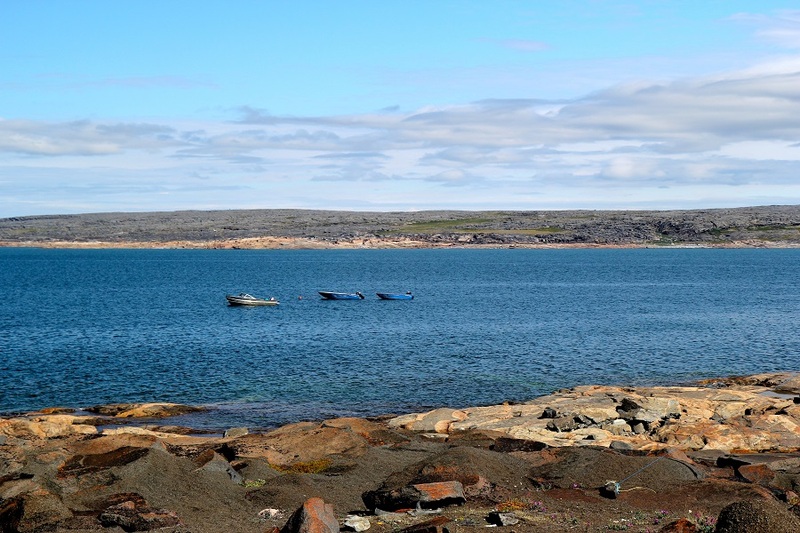 Lemmings running around everywhere, the aqua-blue color of the water in bays, or even spotting a beautiful flower hanging precariously on the side of rock wall, make coming to Nunavik and Inukshuk Lodge so very special. If you have a bucket list of places to go before you die, then you absolutely must add this lodge in one of the last pristine wildernesses left in the world.